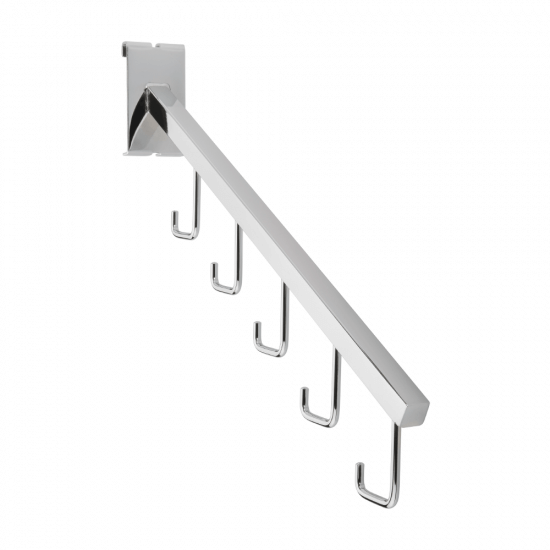 Use a Gridwall Five Hook Waterfall Arm in your store, showroom or exhibition space to hang clothing and similar items. 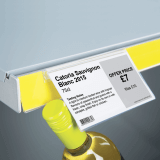 The rail has a sloping design so each hanging product can be easily seen and picked out by customers. 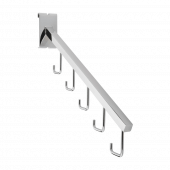 How many hooks are on the rail? 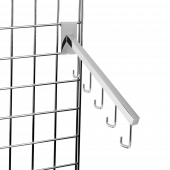 The gridwall arm is fitted with five hooks. 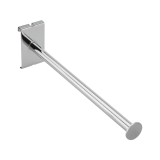 What is the hook rail made of? 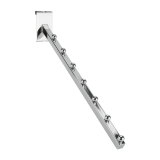 The waterfall hook rail is manufactured from steel for a durable and sturdy design. 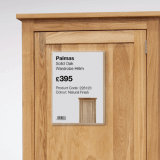 How long is the rail? 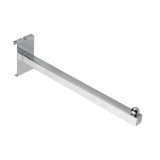 The overall length of the sloping gridwall arm is 41cm. 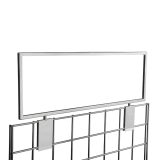 How do I attach the rail to gridwall? 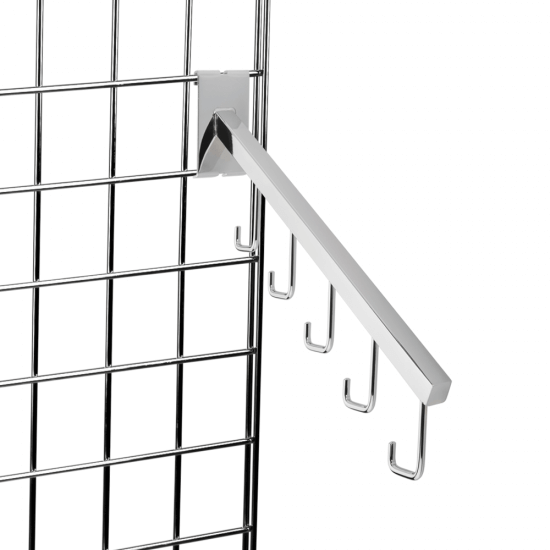 Simply hook the rail directly into a Gridwall Mesh Panel and it will slot firmly into place.